I’ve been living under a neurofunk rock for a few months. My musical preferences seem to ebb and flow with the changing of the tides and lately I’ve been on a more melancholy kick. 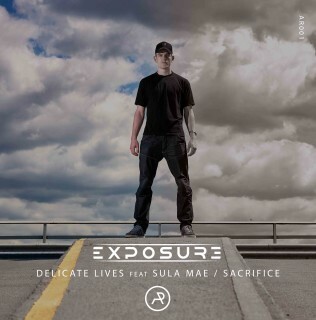 Because of that I nearly missed out on Bristol-based Exposure’s debut release, Delicate Lives feat Sula Mae/Sacrifice, on his own A R Audio imprint. Delicate Lives is a wonderful balance of Sula Mae’s folksy vocal (that hits my melancholy funny bone) and that neuro kick that I love so much. That’s why it’s my Tune of the Day. Delicate Lives/Sacrifice is out on 1st July. You can learn more about A R Audio and Exposure at A R Audio.com.